Bidding opens Wednesday for lunch with the IT execs. There is a “Buy It Now” option, to give bidders the ability to guarantee their lunch with a preferred CIO. Proceeds from the auction support technology trade association’s programming and a scholarship fund for women pursuing STEM academic paths at North Carolina institutions of higher education. 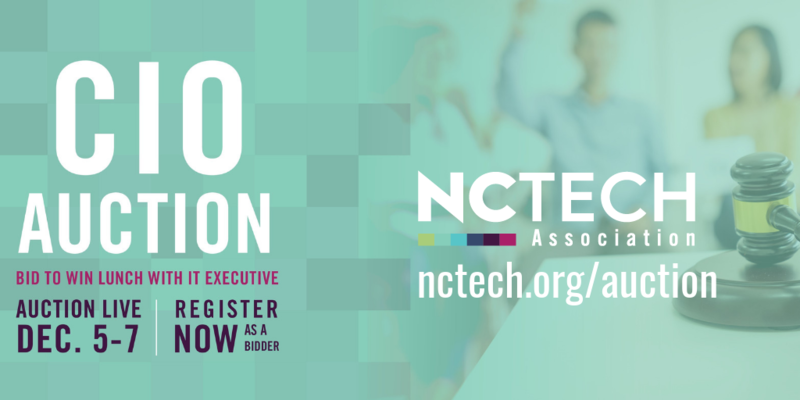 Bidding is only open to employees of NC Tech member companies, and bidders must pre-register to submit bids for one or more of the participating IT leaders. The Auction will run for 48 hours, from noon on Dec. 5 until noon on Dec. 7.